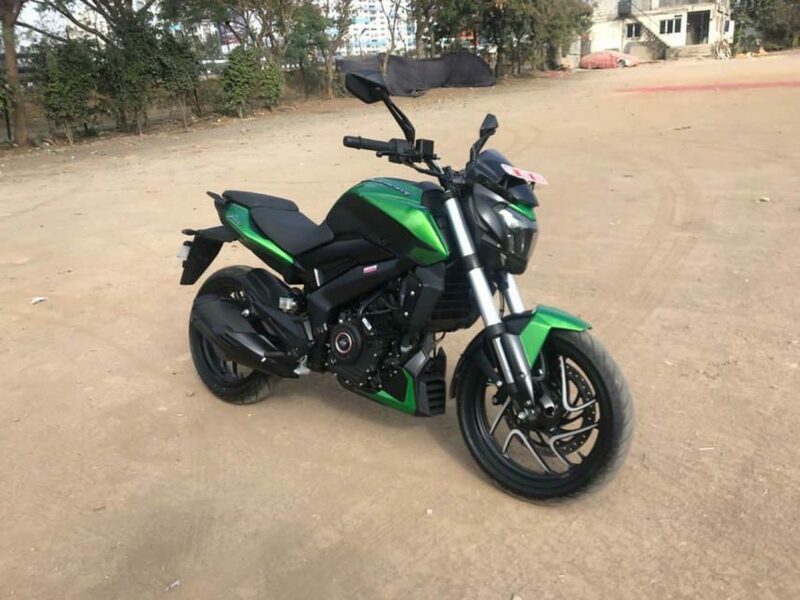 Bajaj has commenced the deliveries of the 2019 Dominar across India. Like we already reported earlier the 2019 Dominar 400 is priced at Rs 1,73,870 (ex-showroom). The new Dominar despite receiving all the additional upgrade is priced at a premium of just Rs. 10,795 over its predecessor. 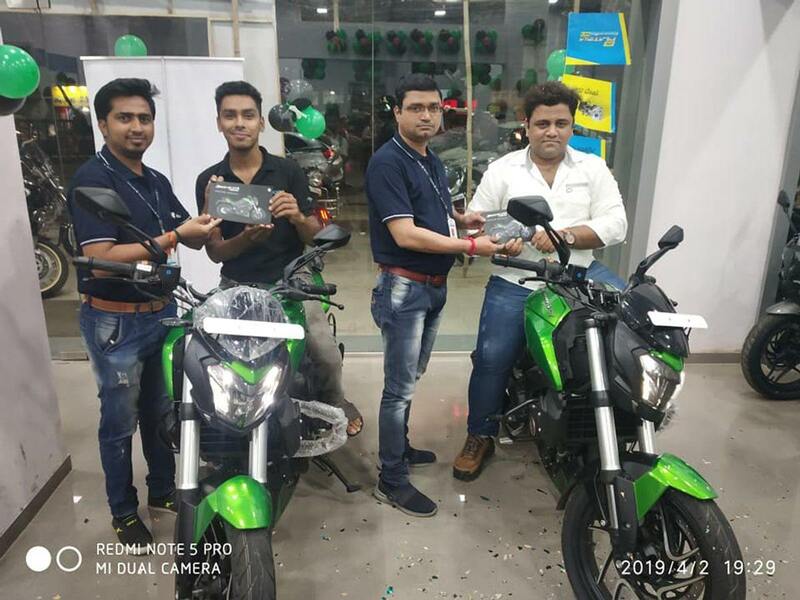 In these images, you can watch that the particular dealership in Pune delivered the motorcycle in two new colour options including green as well as the matte black. Talking about the changes the 2019 Dominar 400 has received an upside-down telescopic fork towards the front which replaced the conventional telescopic units of the old motorcycle. The addition of the new suspension setup not only gave a beefier appearance to the front profile but also helped improve its overall ride and handling quality. However, the rear profile still continues with the same adjustable monoshock setup. Besides the new suspension setup, Bajaj has also revised the internals of the all-LED headlamp as well as the taillamp to enhance their overall performance. The secondary instrument cluster positioned on the fuel tank now also offers more information than before. The motorcycle still continues to be powered by the same 373.2 cc, single-cylinder, liquid-cooled engine with three spark plugs. However, it now features a dual overhead camshaft for better and smoother performance. With all the new changes the Dominar now produces around 40 Ps of peak power (5 Ps) more than its predecessor at 8,650 rpm and a peak torque of 35 Nm at 7,000 rpm. The engine is paired with a 6-speed gearbox it also gets a slipper clutch as standard. As a result of the increase in power output and revised gear ratios the motorcycle now also has an increased top speed of 156 km/h mark instead of 148 km/h on the previous Dominar. With a sub, 2 lakh rupee price tag there is no doubt in the fact that the 2019 Bajaj Dominar definitely offers the most value for money in its segment. The new Dominar will rival directly against the likes of the Honda CB300R, BMW G310R, Royal Enfield Classic, and Thunderbird range.